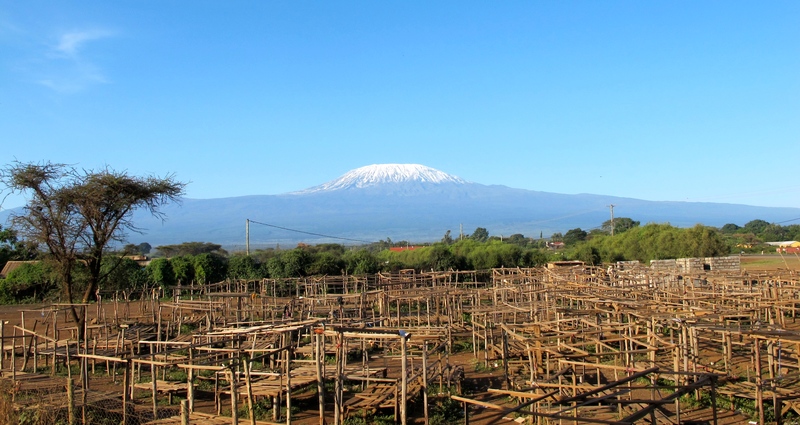 Celebrating with Kilimanjaro | Twende pamoja! Saturday 8th March: International Women’s Day! We had arrived at our hotel late at night after a long, treacherous drive down Mombassa Highway, swerving round haulage lorries and playing chicken with the drivers on the other side of the road. So it was a glorious surprise to look out the window of the hotel restaurant the next day and see Mt Kilimanjaro standing tall and proud in the early morning sunlight. The market stalls were eerily quiet for a Saturday. But for good reason! VSO volunteer, Alice, had managed to lure the ladies of Loitokitok and surrounds to take part in a day long celebration for International Women’s Day. 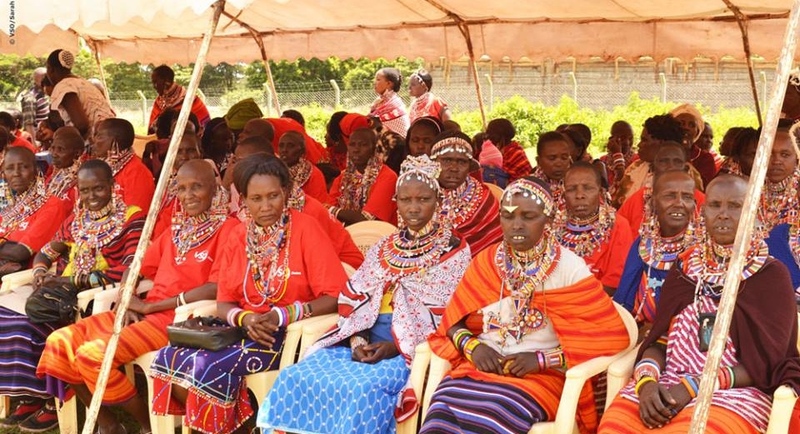 And so, under the watchful gaze of Mount Kilimanjaro, over 300 Masai women dressed in stunning traditional beadwork gathered to take part in a procession through town! As the procession got going, with songs and dancing and huge smiles, the women weaved their way through town leaving the men to look on bewildered from the road sides! After about an hour, the procession reached the local stadium where we were inspired by a huge range of speakers on topics ranging from Female Genital Mutilation, violence against women, rights to property and the importance of women participating in decision-making and political processes. Heavy going topics lightened by short plays from the local theatre groups which made the local women laugh and cheer but left us non-Swahili speakers a little in the dark! All in all a very special day that made me realise how much we take for granted our rights and equality in the UK… despite the fact that many inequalities still persist. And one last pic I couldn’t resist sharing! 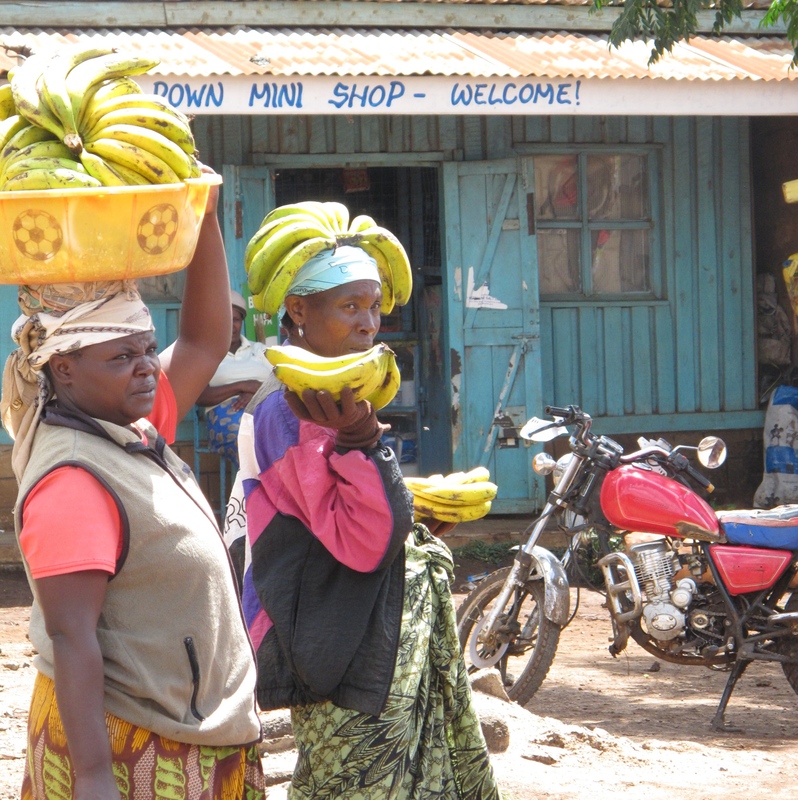 The best way of carrying bananas I’ve seen yet!